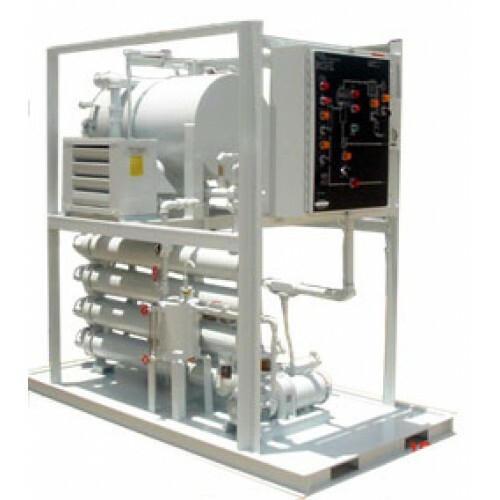 Our HLV Series of Vacuum Dehydrator oil purifiers provide simple and effective purification of lubricating, turbine and hydraulic oils to improve system performance and reduce your operating and maintenance costs. 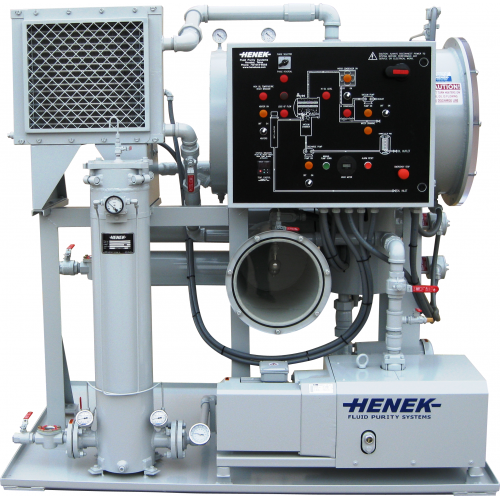 HENEK's vacuum dehydrators remove water, gases and particulate from liquid streams, restoring expensive oils to their original strength without removing costly additives or agitating the oil. *Removes free, emulsified and dissolved water to less than 50ppm. Up to 2% single pass removal rate. Our unique thermal vacuum assisted process, safely purifies industrial oils which are contaminated with water, particulates, and gases. 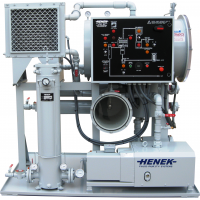 Henek’s Lo-Vac units will degas,dehydrate, and cleanse all types of lubricating and hydraulic oils quickly and easily to a safe operational standard reducing costly failures due to contaminated oil. With the higher cost of oils and increasing environmental regulations, liability, and manpower constraints it is no longer economical to replace lubricating, turbine, and hydraulic oils when contamination occurs. Restoring oils to their original strength through purification is more economical and most beneficial to “in service” machinery. Our HLV Series of Low Vacuum (LoVac) Oil Purification Systems are designed to meet the needs for purifying lubricating oils to new condition. HENEK’s Lo-Vac Systems can be used as stationary units or portable with casters. Systems can be custom manufactured within a variety of trailer configurations for completely portable or self contained.•Systems custom designed to meet your processing needs.